You may of read my previous blog where I applied to an opportunity shared on the Craft Scotland website looking for a Scottish craft maker to go to the Basque Country and represent Scottish Craft at the 18th Annual Euskal Denda Artisan Show. I often look at such opportunity webpages but I have never applied to any. But the spirit of this one appealed to me and although very short notice until the event I sent the organisation a email application…. About two weeks later I was sat in the departure lounge at Manchester Airport having successfully made it through security with a suitcase full of lead & glass weighing about 20kg. This Scotsman was about to go abroad for the first time in 4yrs ! 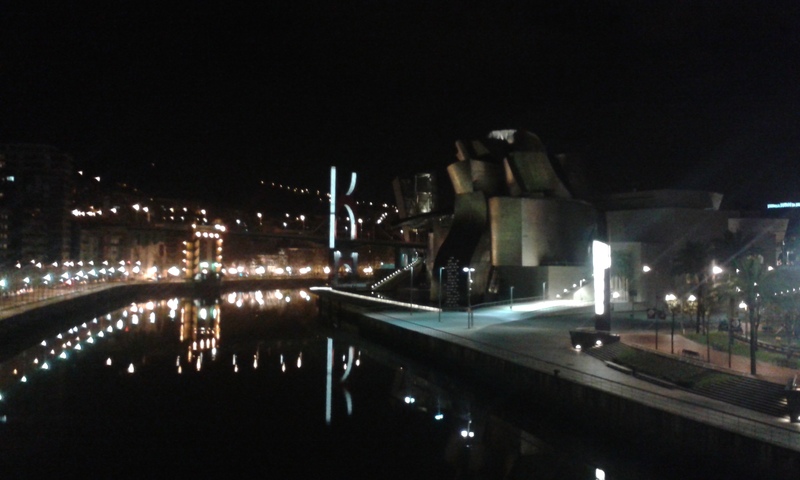 A couple hours after that it was 2am, crisp and cold, and I was stood outside the Guggenheim Museum in Bilbao on deserted streets watching the river quietly float by. 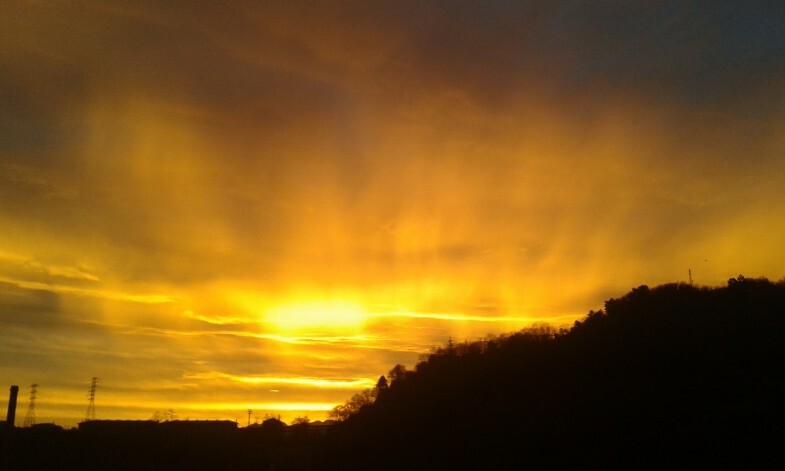 That was the 1st of December and I returned to Glasgow on the 13th. The days that followed my return were mostly sleep orientated and then I traveled North to see my folks for Christmas for the first time in many years. 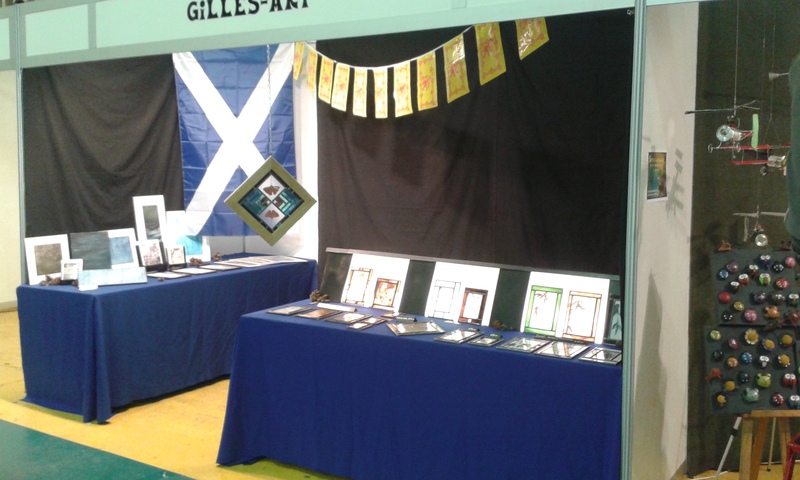 Normally November / December is solid craft shows around Scotland but this year I decided not to do any as the previous year I had made such a loss, this year I played it safe. Then New year and that was December over in a flash. So I have been meaning to sit down and collate my thoughts about the whole experience since the 13th but the time never felt quite right. I am still processing it myself and to include everything I wanted to was going to be a bit of a task. Not only the Euskal Denda experience but also a round up of 2013 itself, a year that went by phenomenally fast and started with me in the depths of stress about my studio in the Hidden Lane, finally deciding to call it a day on that in April and accepting it was not going to work in the way I had envisaged (which was very difficult to do), during that process producing a collection of new paintings, then renting Veneer Gallery for a month to put on my first solo show. Around this time there was also a number of Exhibitions happening in part through a Facebook group I had started in January 2013, which now has 514 members, and the rest of the year saw various projects emerging. 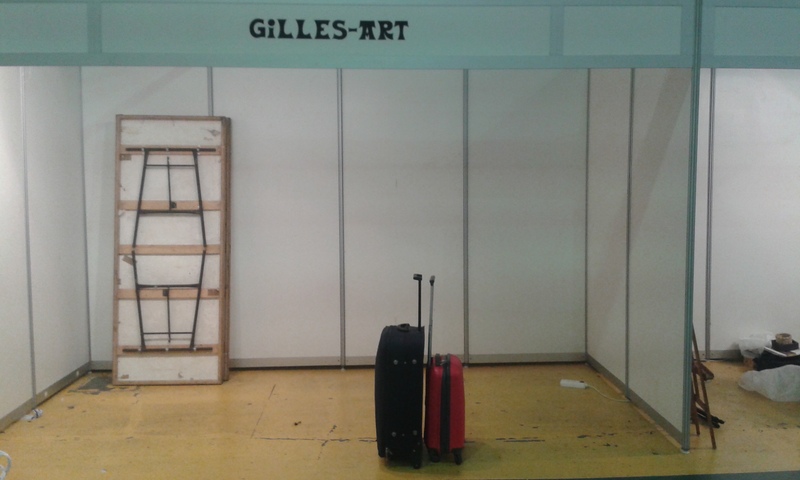 So 2013 saw a fair bit of worry, but also a lot of new friends and I have finally found the art scene I was looking for. Its great to actually have a network of artists all working hard doing their own thing in Glasgow, but working together and communicating and making the scene our own. I arrived on the Sunday night, and was going to be picked up on Tuesday to get me and my gear to the town where the show was being held. I walked a lot!!!! Got my bearings in the town and saw all I could. 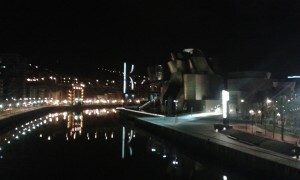 Bilbao was very nice, the very first thing that struck me was they wash the streets down at night. Teams of street workers go out around midnight and power hose down all the pavements streets and roads. Not that they need it as I didn’t see any litter, if anywhere needs that its Glasgow! 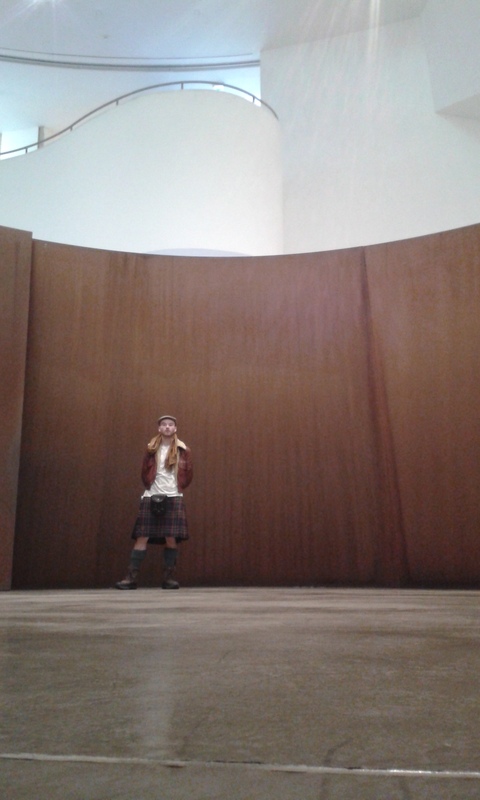 I visited the Guggenhuim Museum. 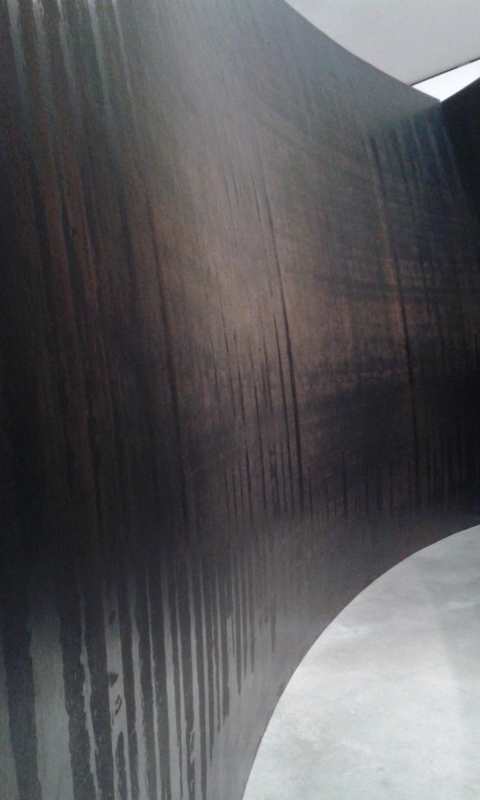 I am not a massive fan of sculpture in general but the Richard Serra sculpture was very cool. I liked the acoustics as you walked through the spaces, the sound of my footsteps changed. 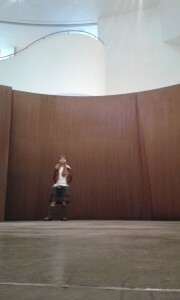 I got there first thing so I was the first person through the door and had peace to explore as I wanted. Well the fun started the next day with setting up the show, it was great having the day before to set things up. So I opened the cases and hoped everything had made it over intact. The display worked a treat, and I got everything put up pretty quick. The venue was what was possibly a big market hall originally, but had been adapted to community uses later, there was basket ball boards that were suspended from the roof and court lines on the floor. I didn’t really take many photos, I didn’t take my proper camera so I only had my phone its takes good enough snaps but to honest I didn’t really have the time to be taking heaps of photos. This is my display, I took the glass selection and an art collection. 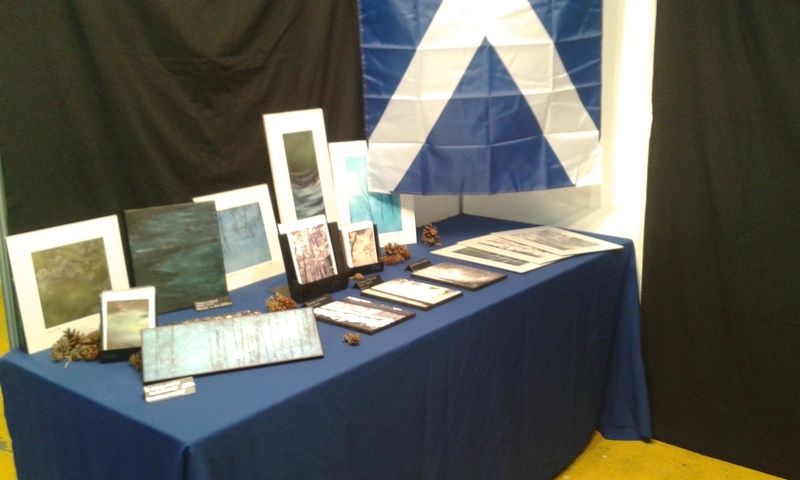 I decided against the Lion Rampant flags, but kept the Saltire up. My flight case held all the glass, fortunately although it had a size restriction it did not have a weight limit so I took all the glass on board the flight which made it through security surprisingly, and my case that went in the hold contained my display. To reduce the weight I made a set up I could assemble when I arrived out of cardboard. I was particularly pleased with the gift card holders. When I think of the equipment I hoof up to the West End for a show, and taking this to a different country was easier I think this is now future model. The other artisans were very friendly. Not many had much English but we worked it out. Over the 4 nights of the show I was invited out to lunch and dinner, constantly offered beers and cigarettes. 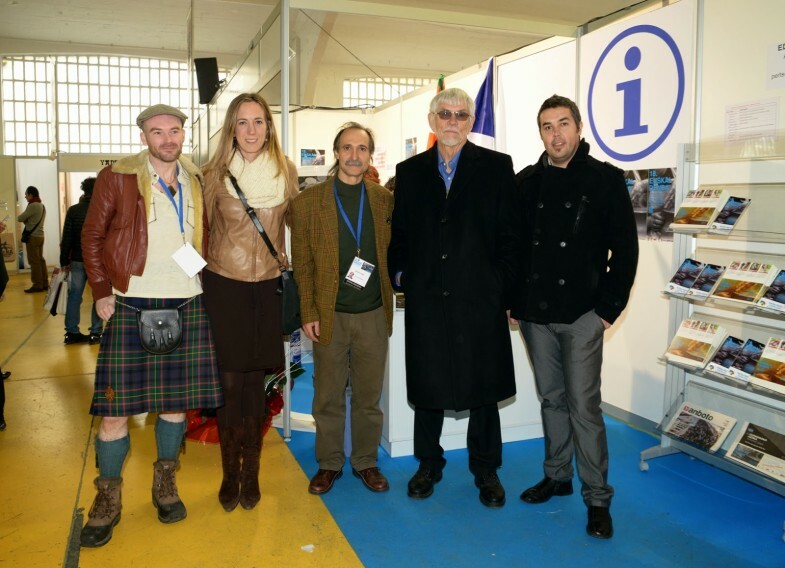 As I was there as a representative of Scotland I wore my Kilt, it never fails to fill me with joy the regard in which Scottish people are welcomed around the world. The Basque people were certainly no exception, it was quite the trip. The response to my work was interesting. I had not really thought about how it would go down. What I had not considered, and what I was unaware of, was the cultural difference in the use of home windows. I intend my hangers to hang up in your home window, and throughout the day as you take a morning coffee and have lunch or are in at dinner time the different light conditions will make the experience of the hanger always new. I noticed pretty quick all the houses had external shutters over the windows that seemed to be closed most of the time. Whether this is in part because its winter time so they are kept closed to retain heat, and I get the impression people spend a lot more time outside in a social setting. Not home from work at 6.30pm to eat dinner infront of EastEnders….. So in the end I only sold 4 hangers… people liked them but I guess it was just too far out the box to be common place in the Basque home. Not to worry though as I took a collection of prints along and they went down a storm. I wish I had taken more but on my limited budget I had to make very calculated estimates on what to take and which images. Now some notes on the actual fair. This was run by ‘Arbaso’. The Basque word for ancestor. In the Basque Country they have established a association in each region of the country and the presidents of each association meet regularly to discuss plans . Full Time Artisans can apply to join and it appears they operate a high level of skill and quality required to be in with the association. Members then do fairs year round in the different regions and the focus is very much on promoting and valuing traditional skills and the skill of the artisan. Within the association you have insurance, and all sorts of benefits and help. Its long been a bee in my bonnet that we operate such a different way. This I find frustrating and as I explain why look at it from both the position of the artisan who aims to make this his full time job & living, and from the position of the public who enters a ‘craft fair’. We have essentially two options as a maker. You do a large show in venues such as the SECC or whatever the equivalent is in the big city. This cost the makers anything from £1/2000 upwards and your artisan will quite possibly find themselves next to an umbrella company or drink firm, anyone that pays for a stand and that by no means acts a assurance of quality. I appreciate in some settings the need for diversity but when it comes to artisan crafts the public do need a wee helping hand as we have become so far removed from valuing true craft. So I believe there should be in place artisan associations to present shows and help the public have access to actual quality, and provide a sustainable culture for the artisan. So in the setting of these fairs the artisan will find them useless. Handmade cant compete with corporate made, maybe further down the line when your nation has embraced and values the crafts, but that is most certainly not where we are and thats simply a lack of neglect and no organised effort to protect and nurture the scene. Your second option is the banner outside a church hall / library / hotel lobby etc etc proclaiming ‘CRAFT FAIR TODAY’. This fills even me with dread and I do these things. This show can be organised by anyone with the skills to punt 30 tables to makers. At this level we find the hobbyist. Now an old man who has plenty of skill on a wood lathe may make a fine product but he may be doing it just for fun. I see this as a barrier for people who go to that fair and its their living. They may need to pay bills, its not a hobby. The presence of hobby crafters also stains the image the public receive, as thats how the work will be viewed. As a hobby. Not with value. The other problem is something I have noticed in the very immediate last few years is the explosion of various Craft Fairs. Its all too much, there are too many, the quality suffers and it just rips apart any value the good fairs had created in the minds of the public. Remember I am looking at this from the view that we have to completely shift the accepted public perception of artisan crafts. And at the end of the day with 4 different fairs in one neighborhood alone how many people are there actually to attend, how much money is actually getting spent and how can that possibly work for all the makers. It does not. But who ever has put that show together has a guaranteed profit regardless of how the day goes down, in some cases these shows are run by profiteers and in some cases not… I know how much it takes to organize a show so I am not hitting out at those that have made this a job but when its just a job with little regard or appreciation for the craft well thats where we have a problem. And I well appreciate there are good days and bad days its just the way it goes but we have now crossed over into a completely destructive zone. Unfortunately makers are not really in a position to just band up and say no to these shows as well we have to do them as its the only option and even though its likely to be a financial wreck its the only option and its our job… Unless we do all band together and say no….. So again why we do not have a model in place like the Basque people is crazy to me. This seems to me to be something our bodies like Creative Scotland and the like should be helping to put in place. Feel free to give me a call eh. At the fair I think the final numbers in 4 days was just over 14000 people. We opened at 11am and there were folk waiting at the door. Everyone gets kicked out at 2pm and we go away and have a feast of a lunch, return at 4pm to find an actual hoard of people waiting to get in. And they paid to get in, only 1.50 I think but still they were happy to pay. Not like your nonsense of £15 or whatever it is for a SECC country living situation. The show is rammed until 9pm when everyone is ejected and we all go to the bar. Now thats how to do a craft show. Imagine that here!! I was so impressed with how they organised this there was so many things I wanted to say, its such a multi level subject, and I feel so strongly about it, its hard to get everything down. I shall probably have to come right back as soon as I post this and add in that really important part I forgot about. 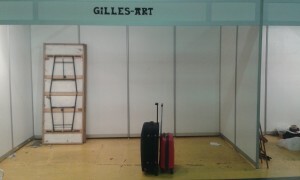 Anyways at the end of the show I packed up the cases and this is what I had traveled with. So as a trial run to travel to a different country and do a show it worked. I adapted my stall, got an impressive amount of work in 2 cases and now I want to try going somewhere else. It occurs to me I should probably take my work to where I think it would be better appreciated. This means more rural areas of Scotland but more to places like Sweden. I worked on the streets in Edinburgh street trading for 3 yrs full time. I kept a note of everything I sold, at what time, male / female, age, and where they were from. That right there is a LOT of market research. So I have a good idea about where I need to go, so I am looking into finding out how to contact folk in these scenes. So if you are reading this and have a friend that is from Germany / Sweden / Finland / Denmark and does art or craft fairs do put me in touch with them as finding this kind of info out remotely is pretty difficult. The things I have identified as the problems with the UK scene I cant honestly see changing, unless Creative Scotland give me a job to make this dream association a reality so rather than to continue to work in a broken system I should just not worry myself about it and go elsewhere. Along side the Craft show was the book fair the same week. It was held in a different building in the town and was HUGE! 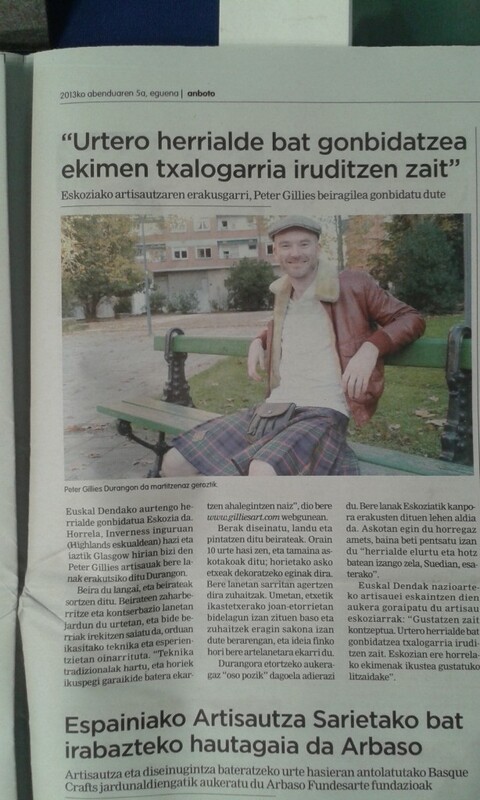 All Basque publications and independent music labels. I didn’t have the time to see all the books and that was a shame, but I got 20min to check out the music end and grabbed 2 records. One by a famous basque singer Ruper Ordorika and his classic Basque album Hautsi Da Anphora. One the second last night Arbaso held an awards in the towns ‘city hall’ type building. They had a piper who played at the start, he was from Falkirk originally but had been living in the Basque country for 15yrs. Well played sir. 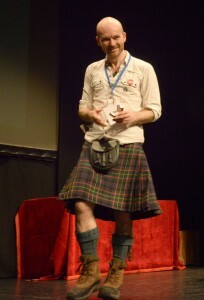 Here is a wee slideshow video the association made from the event. From what I could gather they had awards for the best presented stand, best work, and a lifetime achievement type award. I even got to go on stage to be thanked for coming, and they gave me a special badge pin as they noticed I always wore my hat with different badges on the back. I pulled this text from this news site. A little is lost in translation but you can understand the sentiment. 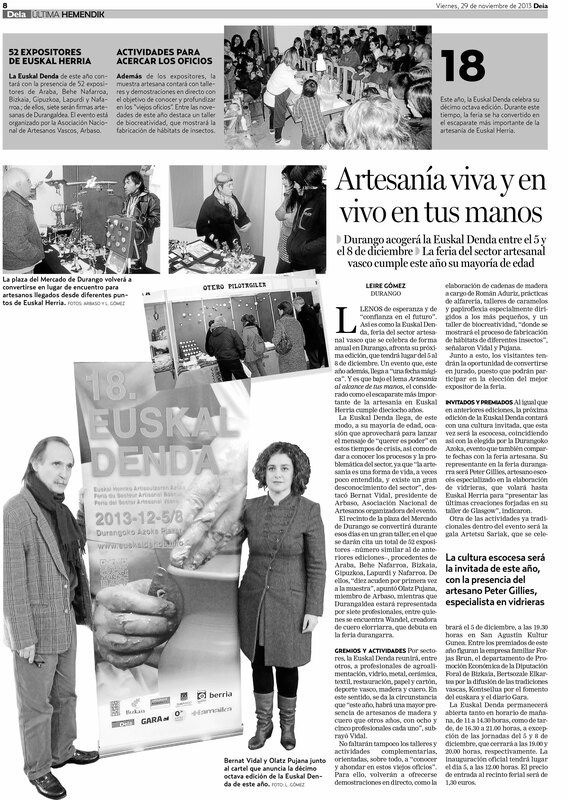 “The Euskal Denda Durango has met this weekend with its 18th edition acclaim. To craft fair, held in parallel to the Azoka, have approached 14,045 visitors, representing an average of 4,691 during the three days that has developed, compared to 4,030 last year. 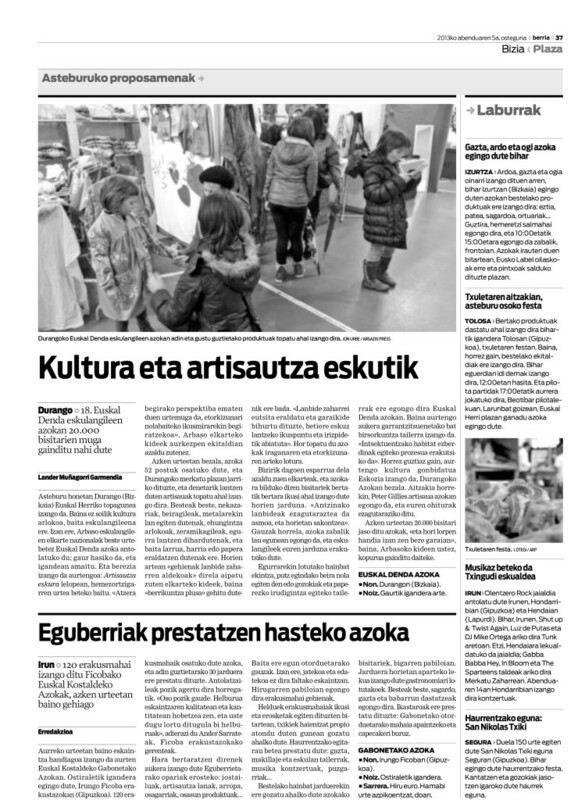 The event, under the theme crafts at your fingertips ( Artisautza eskura ), has brought together a total of 52 craftsmen, including 40 from the Basque Country and Navarra 12 and the French Basque Country. “Our public is sensitized to crafts. Merely pay into and denotes its interest to see and hold the Basque handicrafts and buy.’s Why it’s encouraging for the crafts sector, in these times when the economy is not at all anything buoyant people tipping in attending the Euskal Denda and buy handicrafts. definitely are some very positive data “, said President Arbaso, Organising Association and director of Euskal Denda, Bernat Vidal through a statement. After the show was finished Anne and Heike invited invited me stay at their house for a few days. 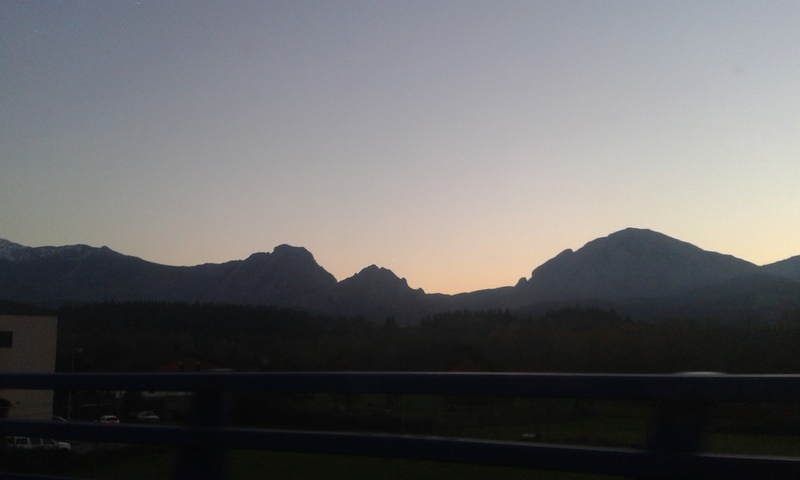 It was great to have a few days and see the local country side. I really noticed the tree diversity. 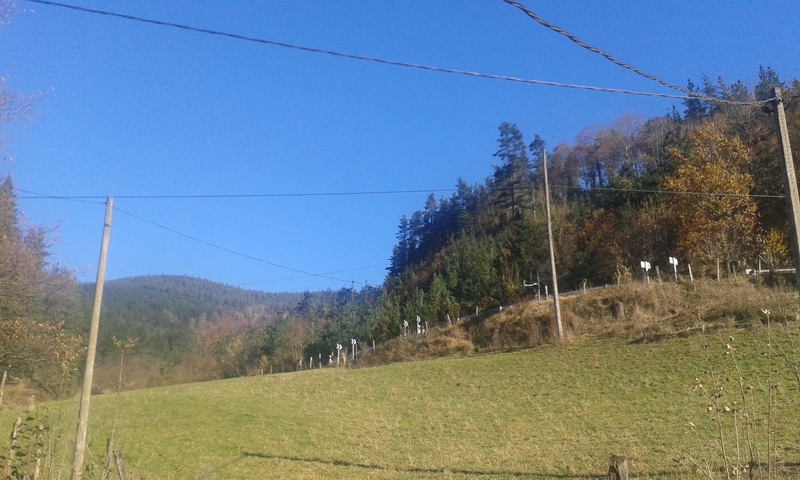 It was very like Scotland but more natural forest with Scots pine and Oak looking very healthy. This area of the Basque country was famed for its boat building back in the day so the trees were well managed then. This could be in Scotland without a doubt, it reminded me of home very much. I stayed up late with Heike and had some great chats about the problems of our business, some things were the same, some different. 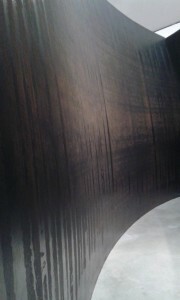 It was very interesting to here about a new perspective. There were a few stand out schemes. One was the unification of factories, were the people workign for a company inverested spare wages back into the firm and there was a system in place where by if you wanted to move town they would hepltransfer you into a new job so you didnt just quit. With enough companies operating in this way enough people could effectively trade positions. Genuis. Also there was a skill trade scheme in opperation where by you gave an hour work, took and hour work. You might be able to tune a piano, you might need a washing machine repair and by helping someone else you can ask another person for help. Great idea. Still with blue skies I got to visit a few different towns and eventually it was time to return to Bilbao and get my flight home. On my last night I treated myself to a gig by The New York Ska-Jazz Ensemble who happened to be playing on my last night. That was great. Even got my record signed by the band at the end of the gig. Even on the last night I was early to the gig so went into a random bar across the street, a lady at the bar smiled at me and I clocked she was explaining to the bar man who I was. It seemed where ever I went someone knew who I was. It was rather odd. So overall I think I did a pretty good job representing Scotland. And as a final note it was only possible with the help from friends and people who follow my facebook page. With such short notice to the show I had about 8 days to turn round all the money to go, travel & flight fare, accommodation and food money. Arbaso were going to give me some when I arrived which was very kind to help and they supplied the hotel during the fair. But without folk buying things in those 8 days non of it would of happened. So MASSIVE thanks to those that sent me a message and said can I buy that. My plans for 2014…. well I started the year by getting some new paper to work on some Sumi ink painting. I put together a video of me painting last night. I plan to put together a small collection of these paintings in the next couple weeks. And for the rest of the year plan to put together a 15/20 painting collection for exhibit by the end of the year. 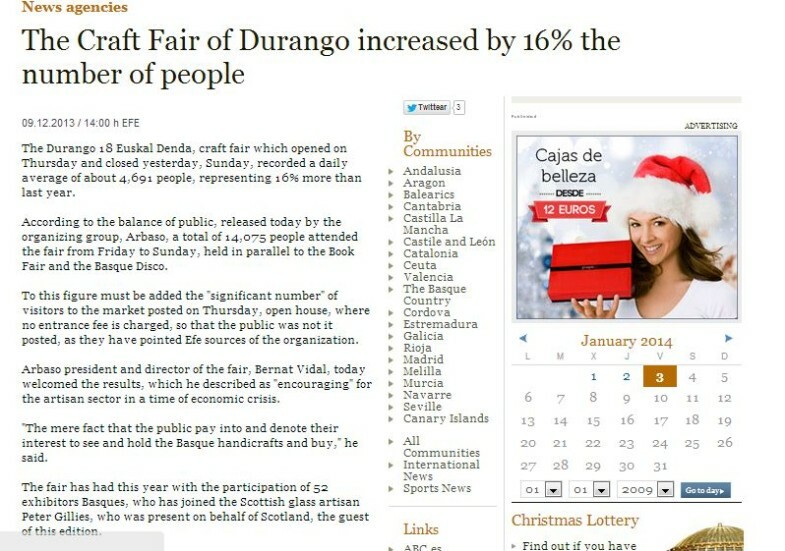 “Euskal Denda, an annual craft market in the Basque Country, is looking for up to six professional makers to represent Scotland in their 2013 event. Arbaso is a craft organisation based in the Basque Country. Running their annual market Euskal Denda (now in its eighteenth year) simultaneously with the yearly book fare in the Basque town of Durango, Arbaso aim to host one of the most culturally significant events in the Basque Country. So…. I applied a couple weeks ago when I saw this post on Craft Scotland and have been invited as a representative of Scotland!! YES ! I am very pleased, I was all resolved not to be doing any shows this Christmas, and these dates are normally when I would be up in Inverness doing my annual show. Not This year! I have always wanted to take my work to a show somewhere outside of Scotland, I had always pictured it would be Sweden, or somewhere snowy and cold. The Basque country was certainly not on my radar, but as it now is it appears there may be some cosmic compass directing involved here. Well cosmic compass I heed your clue. 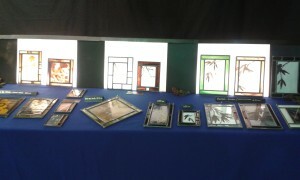 Got a good collection of glass work built up, keen to make something special before I go now. I have 2 weeks…. what can I rustle up? Planning on making a short video of my practices to share for before I get there and when I am there on a laptop with headphones. Lots of ideas. I had not thought of the logistics or costs when I applied. I actually didn’t think I’d get it, not because I doubt my work… this is exactly the kind of thing I should be doing.. but because I figured it these kind of things were normally done by the usual suspects in the know, canny with a grant applications bouncing from residency to residency. Nope, turns out you should just apply to these things when you see them and maybe it will be you. Why not, nothing ventured…. Lesson learnt on that one. I think this project is a tremendous idea, maybe thats actually why I did apply with my heart. I like the concept. Inviting different countries each year. I would love to see that happening here, its this kind of community grass roots efforts that are very worth while. Good on them! This is a most welcome adventure. So its mental hectic for me, 14 days to sort everything. Game time, big time. But really looking forward to this. I shall leave you with this image I made, I totally love it. Turned my painting Snow Fall In The Woods into a gif with falling snow (click on the image if its not moving I noticed it does not on my computer unless you open it up in a new tab/window). 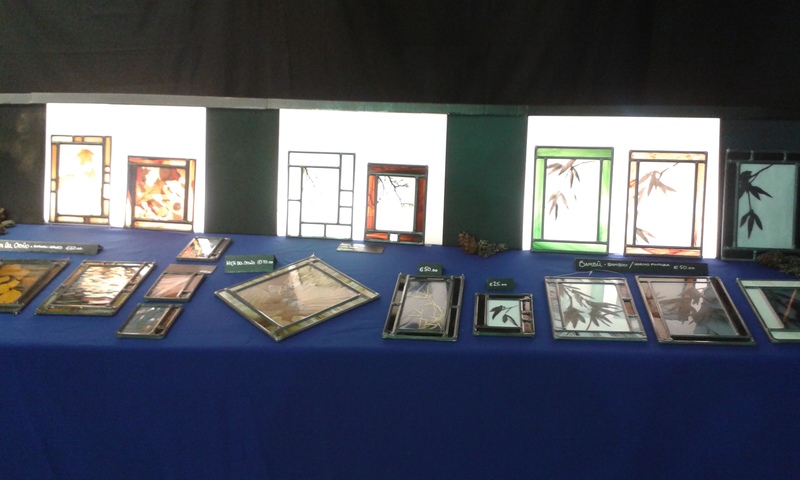 Happy to say after a years absence I have got back to doing some Stained Glass work. I do like to take a break now and again for two reasons. Firstly my health, I have concerns over handling Lead so much, and secondly its nice to not think about it for a while to come back with fresh ideas. Making the hangers is quite intense and I try make each ‘season’ a new idea in style and through the process you chase down so many paths my head gets a bit tangled up so every now and again I think its important to just walk away from it for a while. So in the last two weeks I have added new work here and will continue quite intensively over the next 2 months in the run up to Christmas, usually stop making at the start of December as other commitments take over all my time, attending shows / exhibitions and such. At the moment I am working through a big pile of Glass I had cut up last year in preparation so the sizes have not changed, when thats used up… well I’m not sure what the plan is. A few ideas in the bag safe to say. Exhibition wise my show with Creative Banter titled ‘Merge’ held at Skypark Business Park continues until 29th October and so far has gone very well. 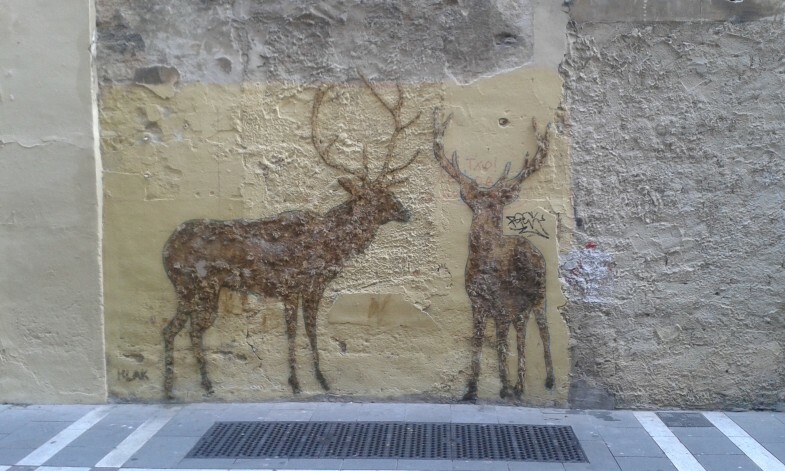 Its nice people are looking for things on the internet and do follow them up and look them out, so still time to check it out there is work by 42 talented artists. Next month we are trying a new idea out which could be pretty exciting. I have been doing craft shows with a group called The Glasgow Crafters Co-op since last summer. This months show was held last Sunday at The Hilton Glasgow Grosvenor at the top of Byers Rd. At the same time as the Craft Show next month we are going to hold a one day art exhibit. The main focus of the event is to raise money for a local Charity called The Brightest Star. This will happen through the participating artists making a payment and the donation of a piece of art to be auctioned off on the day. We are still sorting the finer points of how this will happen as its a unusual concept in some ways. I always saw no reason why art exhibits could not operate in the same way as a craft fair traditionally does so we are giving it a go. One day, one room and a whole pile of artists for you to be introduced to. Sunday November 3rd so start of the month, nae excuses. Bring your art friends and show some support for your artistic community and this worthy local charity & lets put some money their way. After this I have a number of paintings going up to a Gallery in Oyne near Aberdeen. Details of that to come.